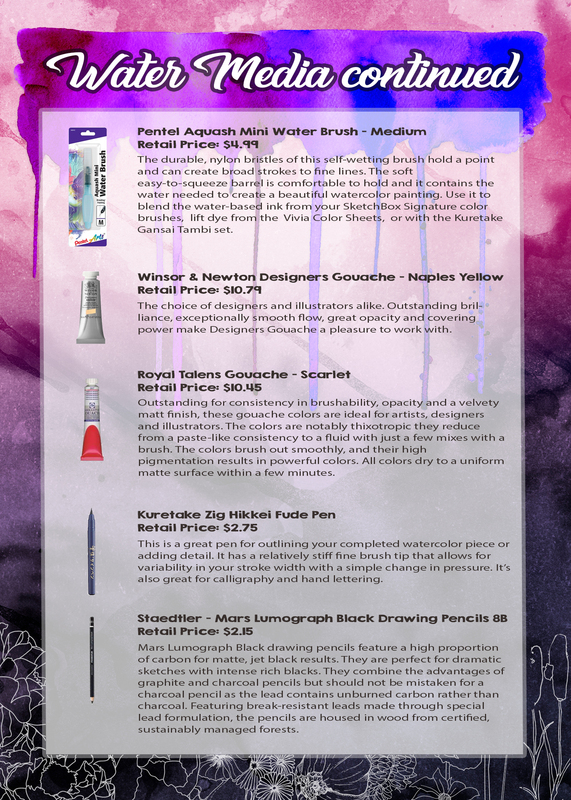 Our special release boxes focus on providing unique and innovative supplies that catapult an artist's craft. 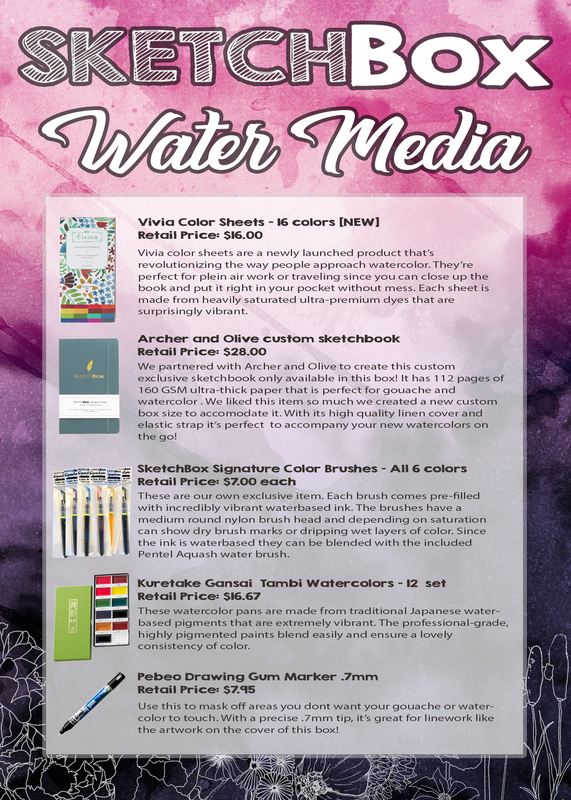 This time we're focusing on water media. This box is for the watercolor and gouache lovers, and those who want to learn. This box contains a whopping 15 unique items that make this medium more approachable. 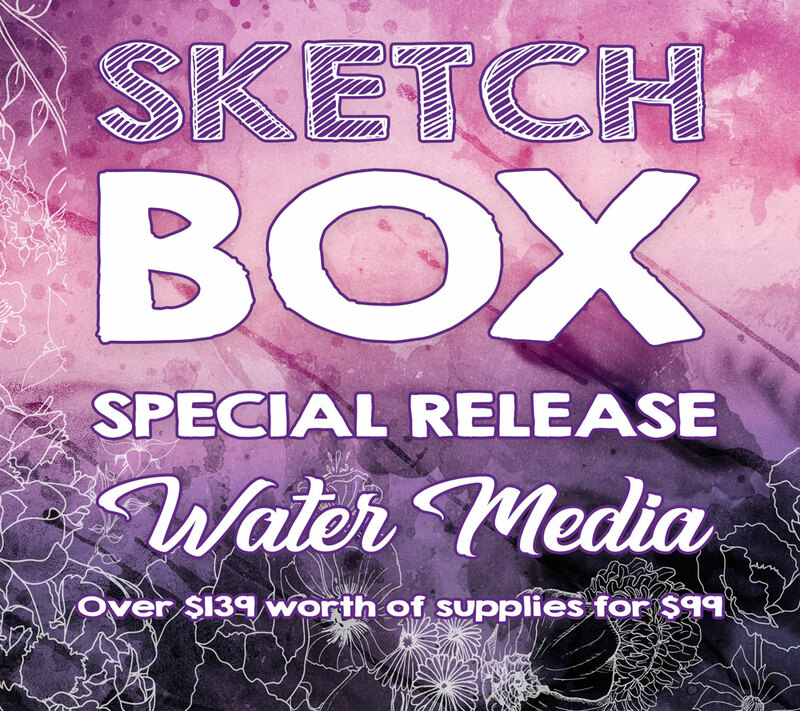 It includes a recently funded kickstarter project that revolutionizes watercolor, an exclusive gold embossed item only available in this box, two full sets of watercolor, two gouache items, and a full set of our new SketchBox Signature color brushes. If you loved them in our September box, get all of the colors or stock up on replacements before we sell out. A total retail value of over $139 for $99 .